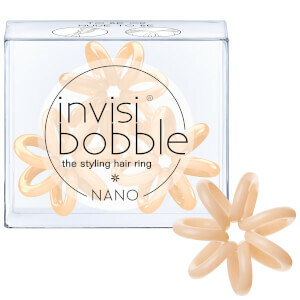 Tired of creating a sleek-do only to have it kink by a dreaded hair tie? 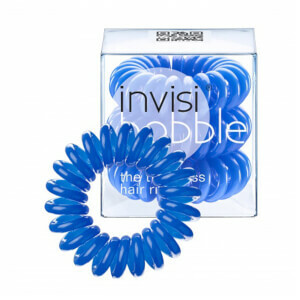 Struggle with hair ties that pull, break and tangle your hair? 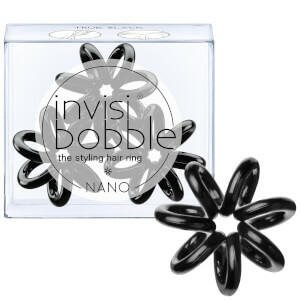 You need invisibobble. 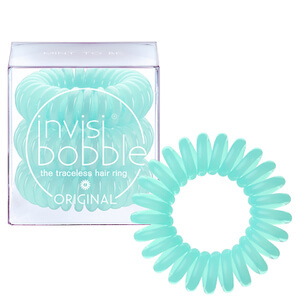 The original and the best, invisibobble are hair ties that secure your hair tightly while not knotting, breaking or actually leaving any trace that it was actually in your hair! 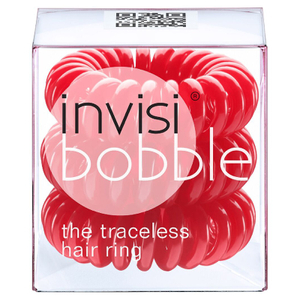 Invisibobble lasts longer than your average hair tie and is made of an artificial resin called polyurethane. 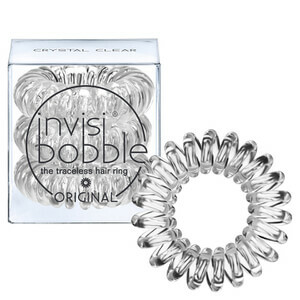 This is a super hygienic material that absorbs neither dirt or bacteria and has an easily cleaned surface and is suitable for allergy sufferers. 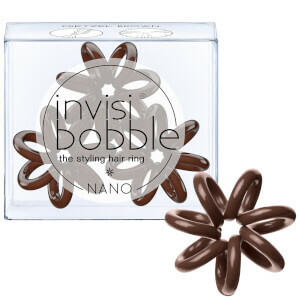 Invisibobble is available in a wide range of shades to suit every personality and match any outfit – but don’t worry if your favourite shade varies from time to time. 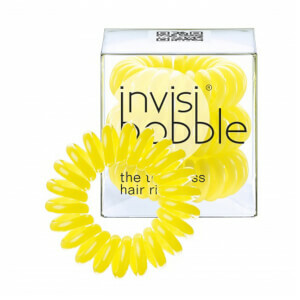 The invisibobble is coloured with natural elements which means the colours can alter. 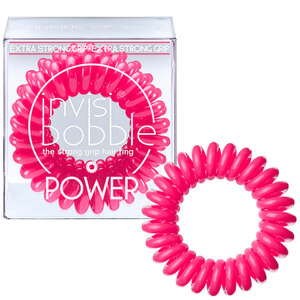 The invisibobble only rips if over stretched as a safety mechanism (eg – prevents small children pulling an invisibobble over their head) – this does not reflect the quality. 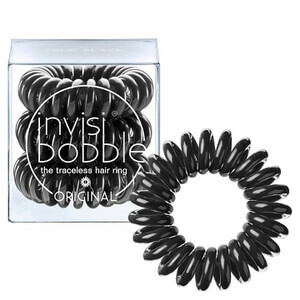 Invisibobble will also over stretch with time but this is completely reversible – put the invisibobble in the sun or on top of a heater (on a towel of course) to contract the material once more.